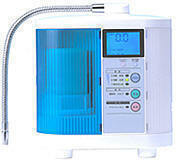 The Jupiter MicroLite has had a long reign as the leading low end water ionizer. It has now been replaced by the robust Jupiter Venus. If someone recommended that you purchase the MicroLite; please note that the Venus is an improvement over the MicroLite. If you are looking for an economically priced high performing unit we suggest that you look at the Venus. 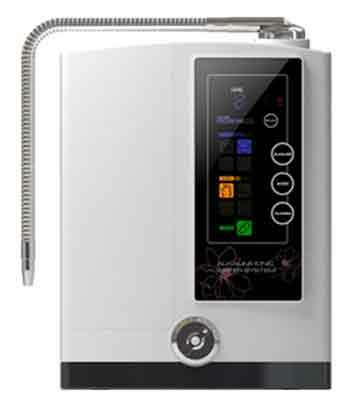 The MicroLite alkaline water ionizer represents a culmination of all the features of its predecessors, the enormously successful Masterpiece and Mavello then some. The MicroLite has been redesigned, to be even more efficient and user-friendly than the Masterpiece and Mavello. More important, MicroLite Ionizer also includes the revolutionary BioStone Far InfraRed filter, which is an example of Jupiter's trend setting innovation in electronic water ionizer design. Jupiter has also incorporated Coral Calcium into the filter. In addition to filtering out impurities from tap water, the MicroLite water ionizer passes the water through the 'BioStone', a ceramic formed of the semi-precious mineral Tourmaline. Tourmaline NATURALLY emits far infrared energy (FIR) and changes the surface tension of the water, making it easier to process for the ionizer by beginning the negative ion creation process. This increases the antioxidant effect with the alkalinized water, without an accompanying increase in alkalinity. Tourmaline has been researched and found to activate animal & plant metabolism. It incorporates the very latest polymer ion separation technology, which is patented by Jupiter Science. 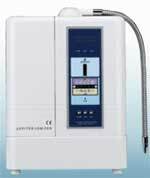 It makes Jupiter Science ionizers capable of the best range of pH and negative antioxidant ions of any system, making this unit at least comparable to any alkaline water ionizer on the market. These new filters will be the standard for all future Jupiter models. 5 Year Warranty on your Jupiter MicroLite. 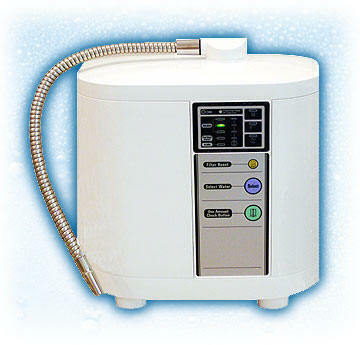 Auto water cleansing means you don't wait for water - ever! And you do not have to worry about bacteria buildup.